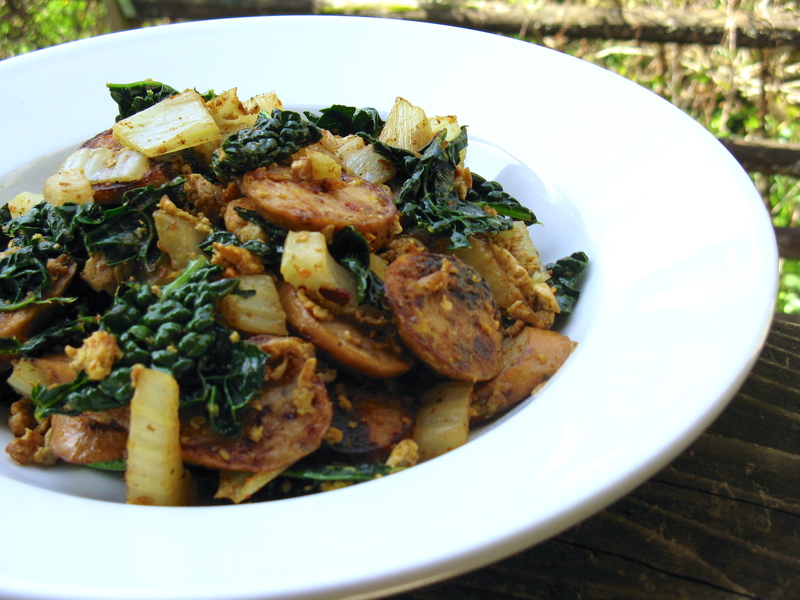 Dishes like this fennel and sausage bowl are my favorite when I need a quick and easy meal. There’s so much room for experimentation and it’s simple to put together based on what’s on hand. It’s versatile and makes for a delicious breakfast, lunch or dinner. I actually made this bowl for lunch yesterday, and sat outside on my patio in the warm sunshine, while I savored each bite. It was in the 60s, which was lovely to come back to after the 30 degree temperatures in Michigan (thankfully, there was lots of sun there though). Lucky for us, the warm weather is supposed to continue and supposedly, it’s going to be in the 70s this weekend. Happy Easter to us, right?! Heat coconut oil and butter in a medium skillet over medium-high heat. Add the sliced sausage and turn heat down to medium. Allow sausage to sizzle and brown in the melted fat for a few minutes. Next, add the chopped fennel and chicken broth, and continue to cook for a minute. Then, add the beaten egg and pepper. If need be, add a little more fat (butter or coconut oil) to the pan. Stir and allow to cook for a minute. Add the kale, red pepper flakes, ground fennel and paprika. Stir and allow to cook until kale is softened, about 1-minute or so. Add more pepper if needed. Mmmm this looks great! I love fennel! Thanks, it was delicious! I’ve come a long with with fennel because I used to not like it at all. That’s not the case anymore, especially with recipes like this! Yum! I love these types of dishes, too. Skillets full of sausage and veggies are the best! 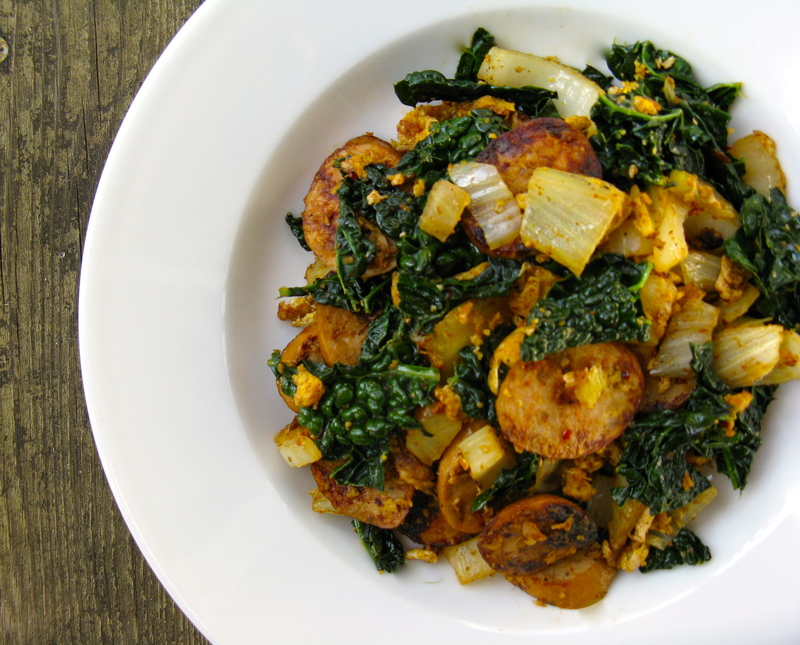 This was terrific – Loved the combo of fennel and kale. We added some red pepper. All 3 kiddos devoured! I love fennel and thought this looked so good–and it was! I think I’ve mentioned before how much I love your skillet combos. So easy when I’m pressed for time and always delish! Great! I like skillet combos too and may have to work on some more to share. I do need some new recipes anyway, so I’ll see what I can come up with! One dish meals are the best!